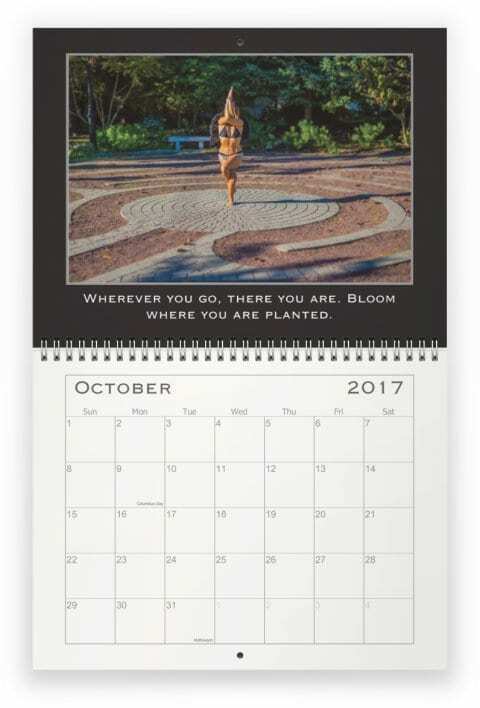 I didn’t think I would have the time this year but thanks to the request of my loyal followers I motivated myself and managed to create a calendar for 2017. This years theme is Finding Your Wings, in honor of the angel in all of us. I enjoyed coming up with creative outfits – all different pairs of wings, poses and quotes. It was definitely a challenge to hold a yoga pose in the wind on the beach with wings that move! 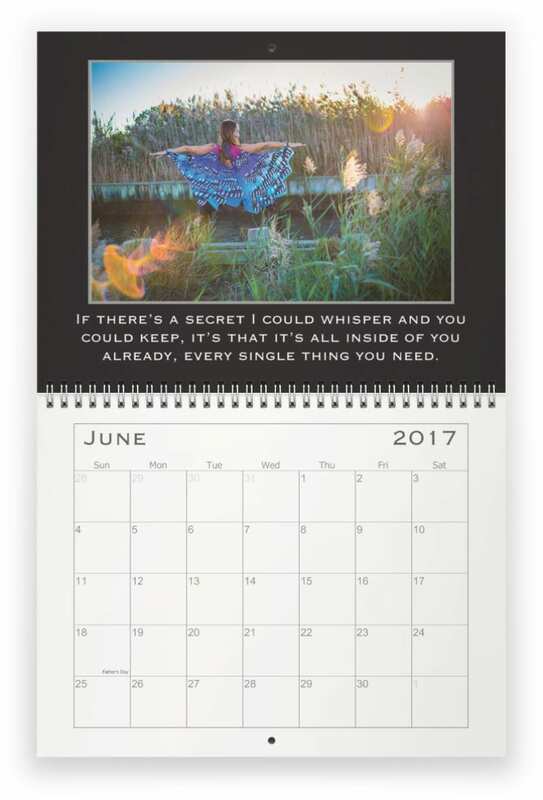 I didn’t have room on my calendar to give credit for June’s quote. It was from the book, The Afterlife of Billy Fingers, a true story written by Annie Kagan. A book I highly recommend by the way.